We’ve now covered several of the most interesting lightweight touring bindings for 18/19 (including the new G3 ZED), and now we’re comparing them to show where, exactly, each binding stands out, which one might make the most sense for you, and how this lightweight category of bindings compares to heavier touring bindings like the Salomon / Atomic Shift, Marker Kingpin, and Fritschi Tecton. The new ZED 12 binding is very impressive on paper. 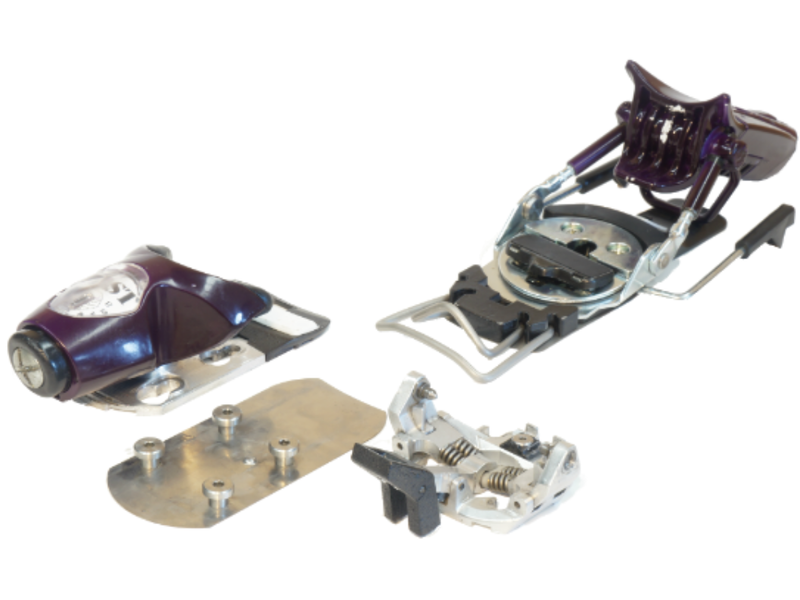 But on snow, how does it compare to the other lightweight touring bindings on the market? Check out our review. While the Salomon / Atomic Shift binding is a revolutionary piece of ski equipment, Salomon and Atomic also make a touring binding on the much lighter and simpler end of the spectrum. So is the MTN / Backland Tour as game-changing as the Shift? And how does it compare to the other options in the lightweight touring binding category? The Dynafit TLT Speed is the newest lightweight touring binding from Dynafit. But with all the new competition in the tech-binding category, how does the TLT Speed compare to the other options out there? Check out our full review. The ATK Raider 2.0 12 / Hagan Core 12 manages to be the most fully-featured binding in our Lightweight Touring Binding Shootout without being the heaviest. And it has an all-metal construction. Intrigued? You should be. Several years ago, Marker created the best-skiing tech binding in the world. Now they’re introducing the much-lighter Alpinist binding — so is it just as groundbreaking? This year, Dynafit released the ST Rotation 10, the next evolution of their popular Radical series of bindings. Check out our full review to see what’s different with the ST Rotation 10, and how it compares to some other options on the market. With about 30 days now on the Salomon / Atomic SHIFT binding, two of our reviewers provide an update on both its uphill and downhill performance. We’ve got another update on the Tecton 12 with a lot of new information, including our on-snow comparisons of the Tecton vs. an alpine binding. We weigh in on the new Fritschi Vipec Evo 12, and discuss why we think it is such a good option for a wide range of skiers. Salomon’s new S/Lab Shift represents a significant leap forward in binding design. Check out our conversation with Salomon’s Cody Townsend Chris Rubens, and Benoit Sublet, and our initial on-snow review. With their Freetour System, CAST aims to meld no-compromise downhill performance with the uphill efficiency of a tech touring binding. We looked at the G3 ION 12 in our Touring Binding Shootout, but after nearly two years on the ION 12, we’ve got our long-term review. The Black Diamond Fritschi Diamir Vipec 12 is one of the most compelling tech bindings currently on the market. Find out why. We’ve detailed the performance of each of the bindings in our roundup, so in this final installment, we sum up the strengths and weaknesses of each binding. What’s the best touring binding out there? We’ll give you the answer in our head-to-head test of five of the most popular tech bindings on the market. Dynafit’s Radical FT 2.0 combines uphill capability and downhill performance in a serious upgrade from the previous Radical line. Jonathan Ellsworth offers his take on the Marker Kingpin AT binding, and why it’s the first AT binding he’s ever loved. 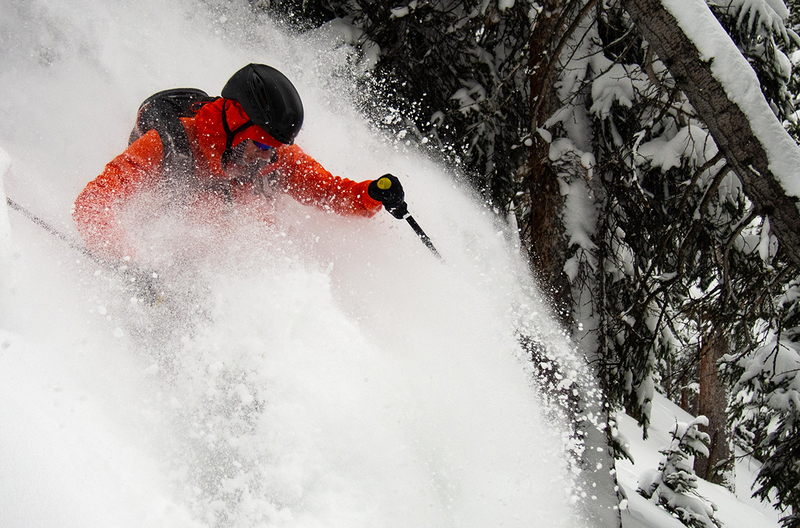 The Marker Kingpin is the most capable, most versatile, all-around ski binding we’ve used.